An Energy Audit isn’t just for living more “Green”, it can help save lives! While an Energy Audit can help make your home more energy efficient, it can also help find unsafe gas leaks in your home. Even the smallest gas leaks can build up over time and ignite. 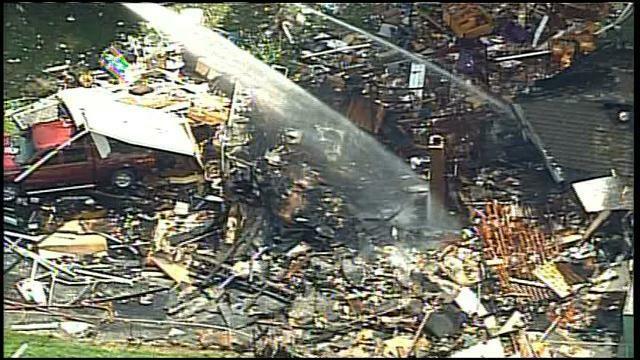 Unfortunately a couple in Independence MO had to experience this in a devastating way. A simple Energy Audit may have prevented this accident from happening. While performing an energy audit, our licensed auditors check for gas leaks in the home. Once the leaks are identified, the homeowner can hire a licensed professional to make the repairs. The energy audit only takes an hour and most repairs on average take up to two hours. So in a matter of three hours you could help save your family from a devastating situation like the one above. GIC wants to help make your home safe! GIC is not only committed to helping people make their homes more energy efficient, we are also committed to making sure homes are safe to live in. Most homeowners don’t even know they have gas leaks and it will only take one leak to turn your life upside down in a matter of minutes. Let us at GIC help give you a peace of mind and provide a safe home for your family by performing an Energy Audit today. Local utility companies are offering discounted audits and sometimes free. GIC can help you figure out if your home qualifies for any of the local rebates. Contact GIC today to set up your Energy (Safety) Audit.